My Holmes/Russell reading fest draws to a temporary close with Justice Hall, which, while much later than O Jerusalem in terms of internal chronology, is nonetheless a direct sequel. 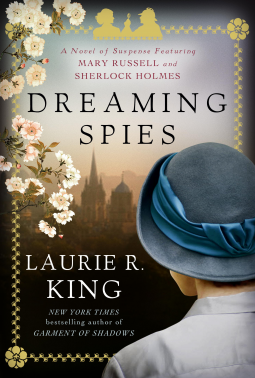 In this novel, Holmes and Russell are called to the aid of friends originally met in Palestine, Mahmoud and Ali, who are now back home in the English personalities, and dealing with all the angst and politics that large, wealthy families seem to corner the market on. There aren’t any mentions of modern diseases like mesothelioma, but there are hunting parties, hidden relatives, and even a severe case of sepsis. It includes many of the favorite elements of all these novels – snarky comments from Mary, wry observation from Holmes, a near-perfect period setting, and great disguises. And, like all of King’s work in this series, leaves the reader wanting more. I’ve noticed that when I read King’s work the Holmes I hear in my head speaks in Jeremy Brett’s voice, and I think that proves the excellence of her work. Authors K-O Fiction Holmes and Russell	Holmes & RussellKingLaurie R.
I’ve reviewed work by Laurie R. King in this blog before, but finding a couple of her Holmes & Russell novels at Half-Price Books last weekend, and then finding out that she had a new book in the series out this year has spurred me to re-read the entire series. I’d forgotten how refreshing it could be to immerse myself in a novel where no one had cell phones, or worried about upgrading their computer memory, or complained about having 500 channels and nothing to watch. As well, re-reading these novels with a slightly more mature eye gives me the ability to really pay attention to some of the nuances I’d missed the first time around. 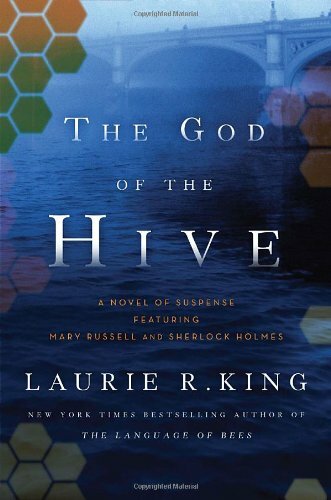 If you’re not familiar with the series, the first novel, The Beekeeper’s Apprentice, introduces us to a character who would be a Mary Sue under hands any less deft than Ms. King’s. This Mary – one Mary Russell – is a teenage girl sent from America to live under the “care” of an aunt, who holds her fortune in trust. One of her neighbors in their remote corner of Sussex just happens to be Sherlock Holmes. The two form a somewhat unlikely friendship, especially considering Holmes’ oft-noted misogyny, that eventually blooms into a partnership of crime-solving equals. Imagine the tag line: He’s a famous detective who retired and took up beekeeping. She’s a young Oxford student studying Theology and Chemisty. They fight crime! But the thing is, they do. Of course, they also bicker, banter, and bargain their way through many adventures, and leave the reader – or at least this reader feeling only that the book has ended too soon.